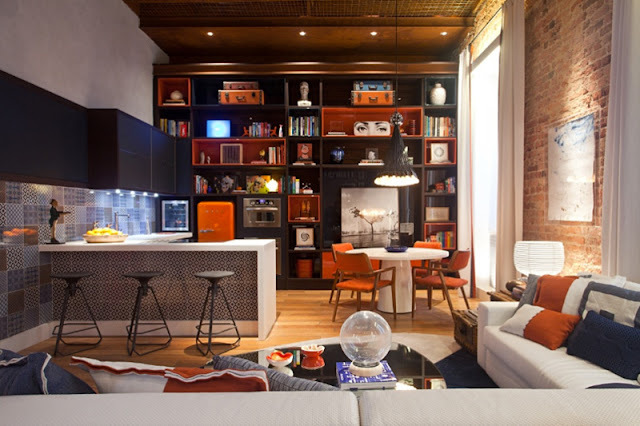 Lofts can be quite a challenge, even to a seasoned interior designer. They might have soaring ceilings, but the actual footprint or living space can be quite cramped. Here is a great example of a fun, interesting, well appointed loft by Brazilian architect and designer Luiz Fernando Grabowsky. 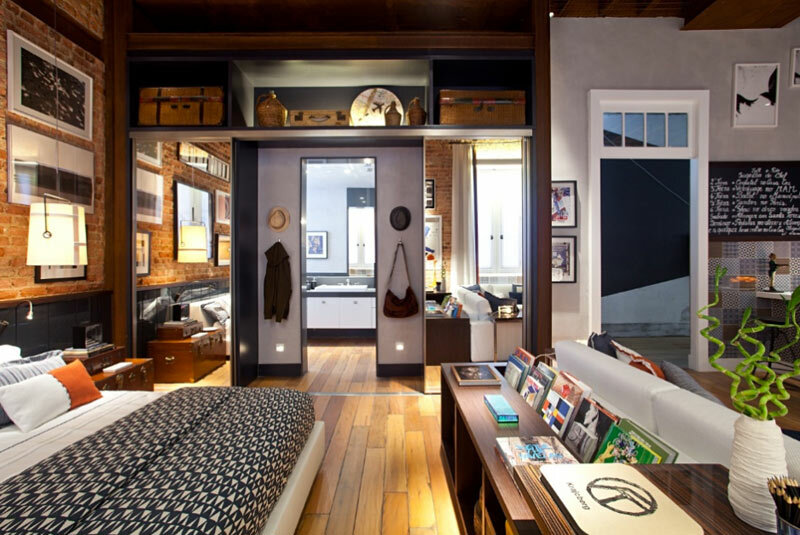 The space is used well, and while there are clearly defined areas, the open feeling of loft living remains.